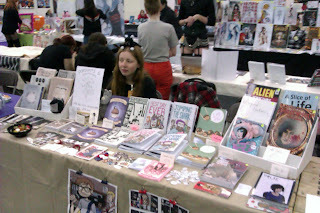 These photos are from London MCM Expo and the Birmingham Zine Festival's Independent Publishing Fair. 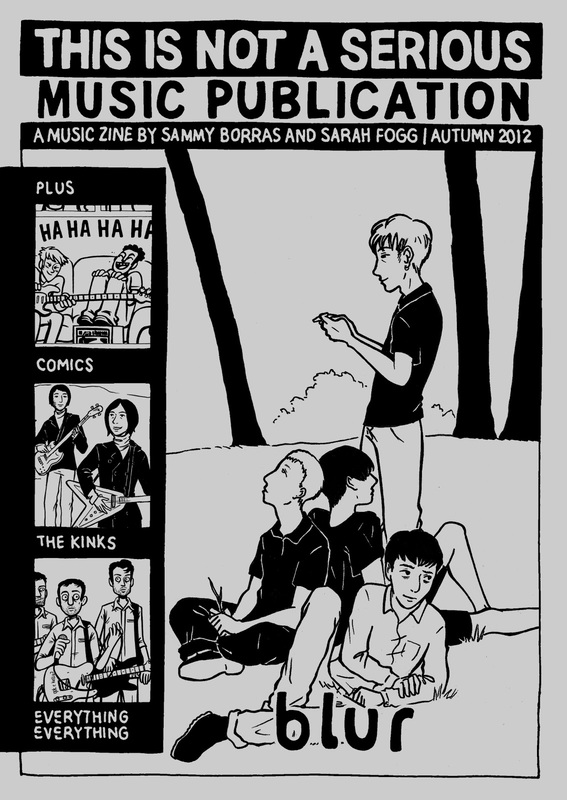 Thanks to everyone who bought our comics and zines and said hi. 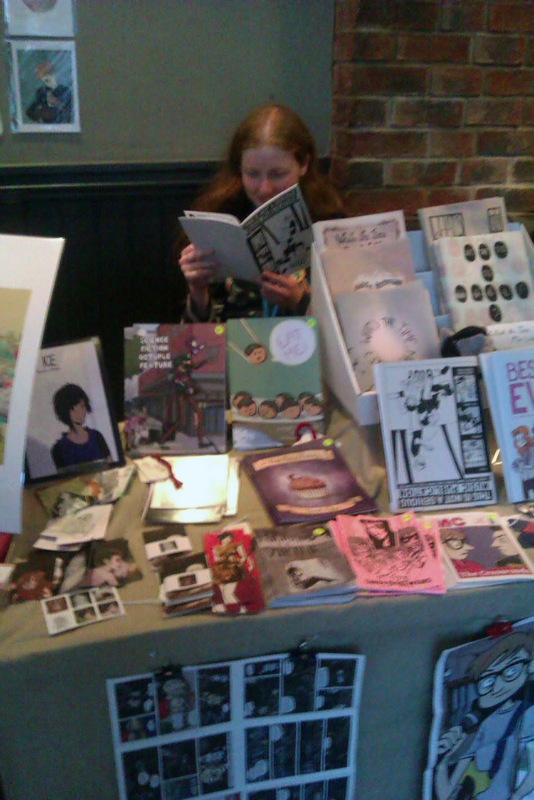 I took the photos so Sarah Fogg from Inspired Comics Collective is in both pictures. The next event we'll be at is Thought Bubble and you'll be able to find us on table 162 in New Dock Hall. 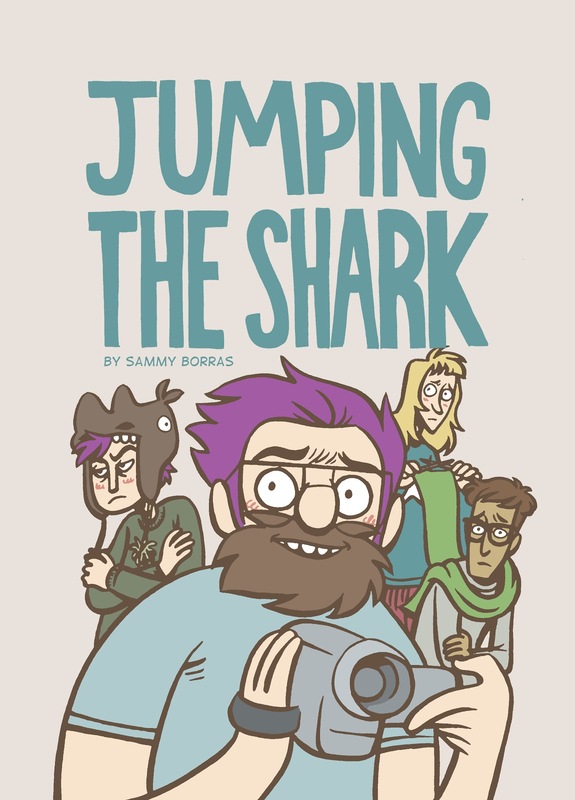 I recently finished and printed my webcomic, Jumping The Shark. 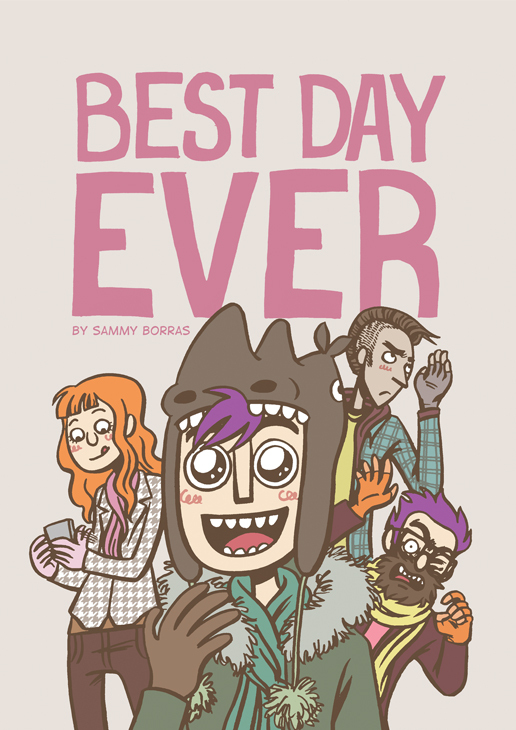 (The sequel to Best Day Ever) The printed version contains a bonus comic and some extra illustrations in the back pages. 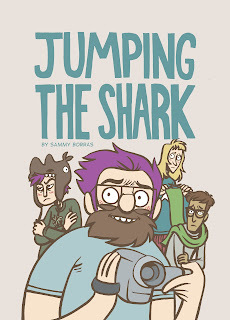 Both books are already available from my Etsy shop.